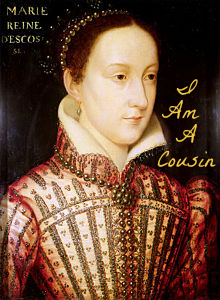 Today’s AJ Cousin Connection is Mary, Queen of Scots! Also known as Mary Stuart or Mary I of Scotland, she reigned as Queen of Scotland from 14 December 1542 to 24 July 1567. She was only 6 days old when her father, King James VI died and she acceded to the throne. 1. Mary Stuart was very fond of white and insisted on wearing that color for her first wedding to Francis II even though white was regarded as the color of mourning in 16th century France. 2. After the death of Francis II, Mary wore black to indicate her mourning for the loss of her husband and loss of the French crown. 3. Mary led a very active life and loved horse riding and dancing. She would dress up as a stable boy and escape at night into the streets of Edinburgh incognito. 4. Though often depicted otherwise in more contemporary art, Mary was tall (nearly 6 ft) and beautiful. 5. Mary had a fiery personality. She was generous, forgiving and a sociable being. She loved the open air and animals. However, she was also criticized for acting on impulse and being tactless. 6. Mary was the first woman to practice golf in Scotland. She even caused a scandal when she was seen playing the game at St Andrews within days of her husband Darnley’s murder. 7. Mary’s last night was spent drafting an elaborate will in which all her servants were remembered. On the day of her execution, she appeared in her customary black cloak and with a white veil over her head. She then dropped the cloak to reveal a crimson red dress. 8. Mary’s last words before the axe fell over her head were: “Into thy hands, O Lord, I commend my spirit”. 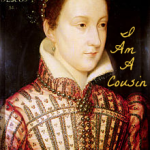 Mary I, Queen of Scots is A.J. 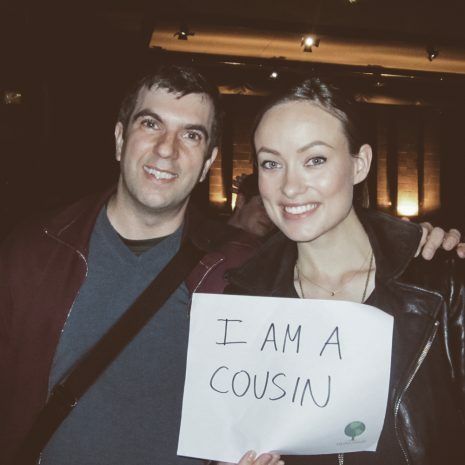 Jacobs’ aunt’s 7th great aunt’s husband’s aunt’s husband’s great aunt’s husband’s half sister. 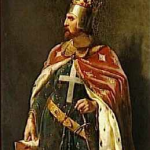 Today’s AJ Cousin Connection is Richard the Lionheart (Richard I of England). He was born on this day, September 8, 1157 and ruled from 6 July 1189 until his death on 6 April 1199. 1. He was the third of five sons of King Henry II and Eleanor of Aquitaine. 2. 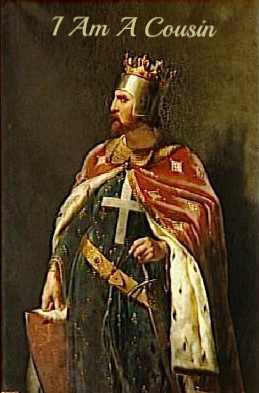 He was called Richard the Lionheart because of his reputation as a great military leader and warrior. 3. Richard also ruled as ruled as Duke of Normany (as Richard IV), Duke of Aquitaine, Duke of Gascony, Lord of Cyprus, Count of Poitiers, Count of Anjou, Count of Maine, Count of Nantes and Overlord of Brittany. Phew! 4. By the age of 16, Richard the Lionheart had taken command of his own army and was putting down rebellions against his father. 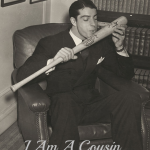 Today’s AJ Cousin Connection is author J.R.R. Tolkien who brought us the epic and wonderful world of Middle Earth (fine – I’m a little biased!). He died on this day, September 2, in 1973. 1. Many people assume that Tolkien was born in England but he was actually born in Bloemfontein, Orange Free State (now part of the Republic of South Africa), to English parents. 2. In 2009 the Forbes list in the US ranked Tolkien as the 5th top-earning dead celebrity. 3. 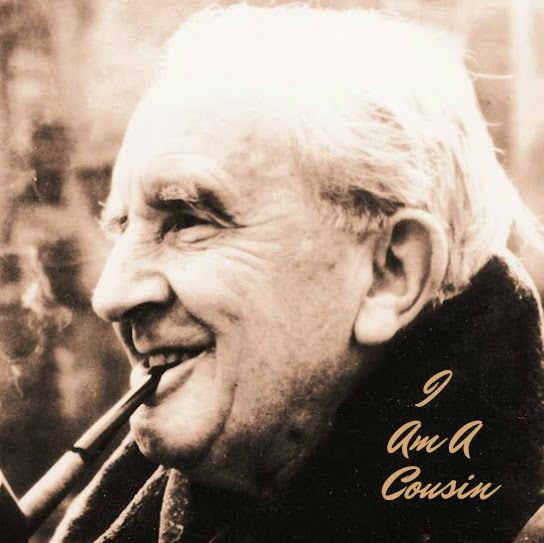 The surname Tolkien is an anglicisation of the German name tollkühn, meaning ‘foolhardy’. 4. Tolkien was nominated for the Nobel Literature Prize in 1961 by his friend CS Lewis. 5. Tolkien became a Catholic in 1900, this caused a family rift with his Baptist relatives. He remained a Catholic throughout his life. C.S.Lewis credits Tolkien with his decision to become a Christian in the 1930s. 6. Tolkien said his character of Sam Gamgee was based on the ordinary soldiers who he commanded and who faced so much hardship without rancour. 7. When agents from Nazi Germany wished to translate the Hobbit into German, they sent a letter asking to prove he was ‘Aryan’. Tolkien gave a scathing reply, saying amongst other thing that he wished he had Jewish ancestors. J. R. R. Tolkien is A.J. 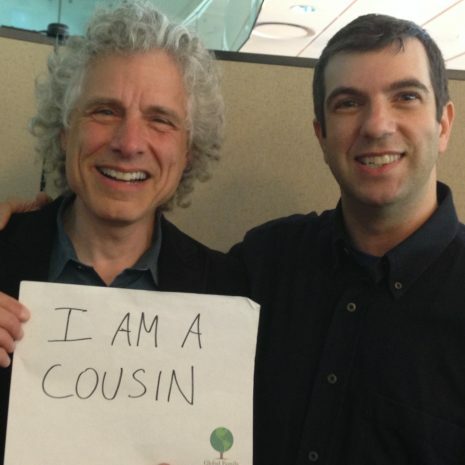 Jacobs’ third cousin once removed’s husband’s great uncle’s wife’s sister’s husband’s sister’s husband’s first cousin once removed’s husband’s father. Today’s AJ Cousin Connection is legendary pop star Michael Jackson! Michael Jackson was a global figure in pop culture for over four decades and his legacy still carries on through his music and the dedication of his loyal fans. 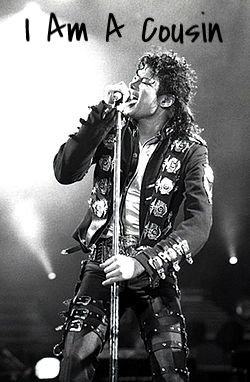 Known as the King of Pop, Michael was a singer, songwriter, dancer and actor, with top hits like “Thriller”, “Bad”, “Billie Jean” and “Beat It”. 1. When he was a child Michael’s favorite books included Rip Van Winkle and The Old Man and the Sea. 2. He has two stars on the Hollywood Walk of Fame (one for himself and one as part of the Jackson Five). 3. Michael was a big fan of The Three Stooge. 4. 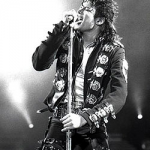 Michael won 13 Grammy Awards, was inducted into the Rock and Roll Hall of Fame twice and two of his albums Bad and Dangerous are among the world’s best-selling records. 5. He has waxworks in five Madame Tussauds museums across the world. Only Elvis Presley and Madonna have more. 6. Jackson patented a shoe device that allowed dancers to lean forward at gravity defying angle. Today’s AJ Cousin Connection is the horribly fabulous Lon Chaney. He soared to fame during the era of silent films, excelling in the horror genre with movies like Hunchback of Notre Dame and The Phantom of the Opera. He became very well known for his tortured and grotesque portrayals and for his groundbreaking skills with makeup! His ability to transform himself with a variety of makeup techniques earned him the nickname “The Man of a Thousand Faces”. Born Leonidas Chaney, he was the son of Frank Chaney and Alice Kennedy. Interestingly, both Lon’s parents were deaf and so, at a young age, he become very skilled in pantomime. His stage career began in 1902 when Lon began traveling with Vaudeville groups and theater acts. He married 16 year old Cleva Creighton in 1905 the next year, they had their only son, named after Lon. Several years later, amidst heavy marital problems, Cleva went to the Majestic Theater in Los Angeles, where Lon was managing a show, and tried to commit suicide by swallowing mercuric chloride. The attempt failed but the scandal that followed drove Lon out of theater and into film. His breakthrough performance came in 1919 as “The Frog” in George Loane Tucker‘s The Miracle Man. The film displayed not only Chaney’s acting ability, but also that he was a master of makeup and put him on the map as foremost character actor! The Unholy Three was the only “talkie” film he ever did and it displayed his versatile voice. 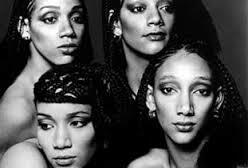 Five of the key voices in the film were Lon’s! He died of a throat hemorrhage on August 26, 1930. 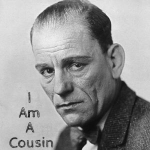 Lon Chaney is A.J. Jacobs’ aunt’s ex-husband’s third great uncle’s wife’s uncle’s wife’s fourth cousin thrice removed. 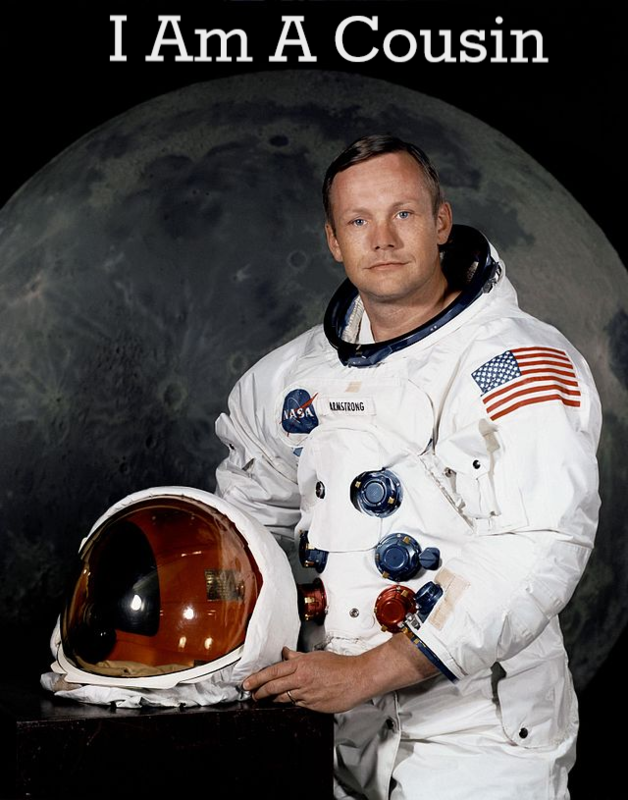 Today’s AJ Cousin Connection is Neil Armstrong, astronaut and first man to walk on the moon! Born August 5, 1930, in Wapakoneta, Ohio, Neil died two years ago today, August 25 at the age of 82. 2. On his NASA application, Armstrong marked “no religious preference”. 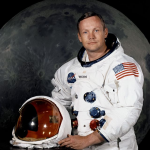 According to Hansen’s book, however, Armstrong actually considered himself a deist, a person whose faith in God is based on reason rather than religious revelation or the teachings of a particular church. Thomas Jefferson was also a deist. 3. What Neil said on the moon is different than what the world thought it heard. What he actually said was “One small step for a man,” which makes a lot more sense. In 2006, an Australian researcher analyzed the recording and discovered that due to limitations of communication technology at the time, a few milliseconds of what the astronaut said had been dropped. 4. When he was 10 years old, Neil was paid $1 to mow the cemetery in Wapakoneta, Ohio, the small town where he was born. One of many odd jobs Armstrong had around town, he eventually earned enough money to pay for $9-per-hour flying lessons. Neil loved flying so much he had a pilot’s license before his driver’s license! 5. Neil was a test pilot. He could fly over 200 different types of aircraft from the dangerous rocket plane the X-15—which could reach a top speed of 4,000 miles per hour (!!! 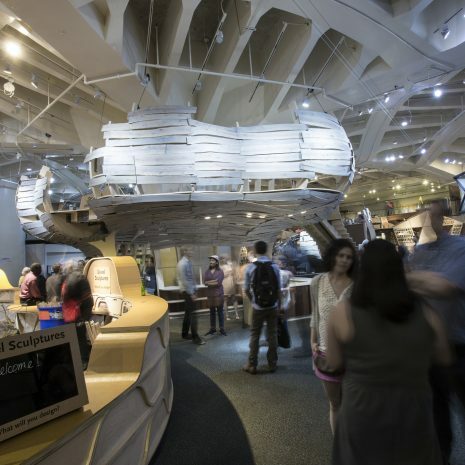 )—to gliders, which he called sailplanes. 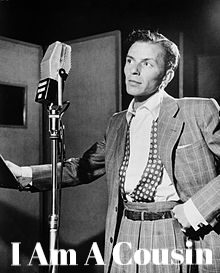 Today’s AJ Cousin Connection is legendary crooner Frank Sinatra! Born December 12, 1915, Frank Sinatra was a singer, actor, director, film producer and conductor, well known for songs such as “Fly Me to the Moon”, “The Lady is a Tramp” and “My Way”. 3. 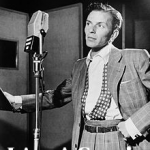 Sinatra was married 4 times – Nancy Barbato, Ava Gardner, Mia Farrow and Barbara Marx. 4. He preferred athletics to academics participated in a variety of sports, including boxing. 5. Not just a great singer, he won an Academy Award for his non-singing performance in From Here to Eternity (1953). 6. In total, he received 9 Grammy Awards, 3 Academy Awards, a Presidential Medal of Freedom, and a Congressional Gold Medal. 7. Frank was a dedicated supporter of Democratic Party until the early 1970s when he switched to become a Republican. He supported Ronald Reagan in the 1980 Presidential Elections and donated $4 million to Reagan’s campaign. Frank Sinatra is A.J. Jacobs’ first cousin thrice removed’s wife’s second cousin once removed’s ex-husband’s wife’s ex-husband’s ex-wife’s ex-husband. 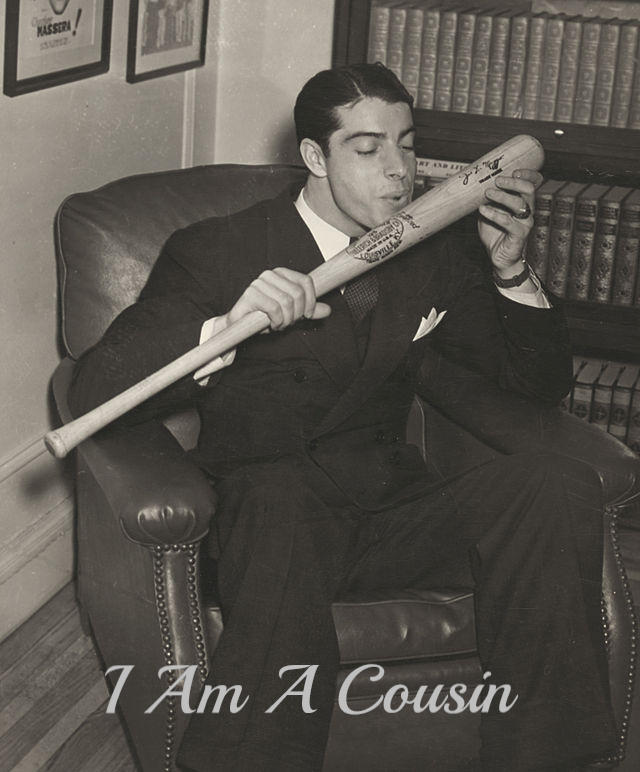 Today’s AJ Cousin Connection is baseball great, Joe DiMaggio. Born Giuseppe Paolo DiMaggio, Joe earned the nicknames “Joltin’ Joe” and “The Yankee Clipper”. Joe played his entire 13 year career for the New York Yankees. He is best known and still holds the record for his 56 game hitting streak! Joe was a three time MVP winner and an All-Star in every one of his 13 seasons. He was inducted into the Baseball Hall of Fame in 1955. 1. His rookie salary was $8500, but it went to $15,000 the next year. 2. Joe’s rookie year was one of the best in baseball history – .323/29/125 and he led the league with 15 triples. 3. Joe was the first $100,000 salary player. 4. He was married to Marilyn Monroe! 5. He helped establish coffee makers as standard in American homes. 7. He was voted “Greatest Living Player” in a 1969 centennial of pro baseball poll. 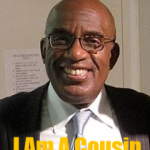 Today’s AJ Cousin Connection is the well known weather anchor from Today – Mr. Al Roker! 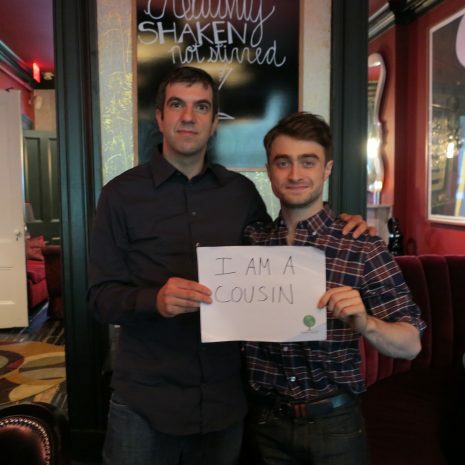 I predict 100% chance of cousin connecting! 1. Al does not like coconut. 2. He doesn’t go to horror movies. 3. Al likes pie. He hates running. He runs so he can eat pie. 5. 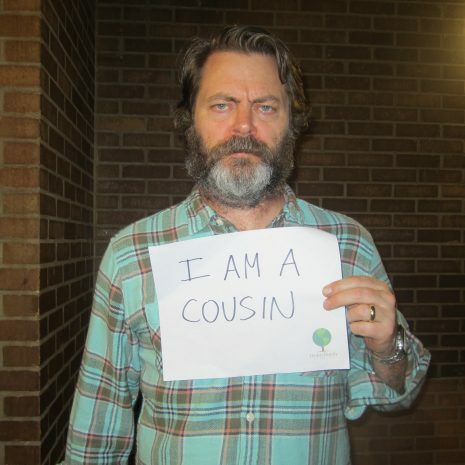 He’s the oldest of 6 kids. 6. Al hates it when he holds the door open for someone and they don’t say “thank you”. 7. 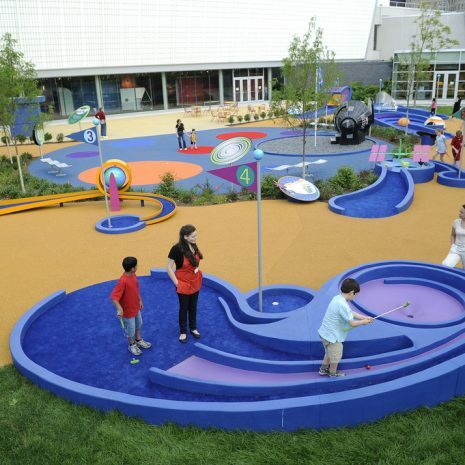 He would give up half of his possessions to find the portal to ToonTown! 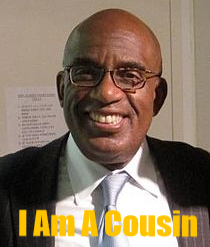 Al Roker is A.J. 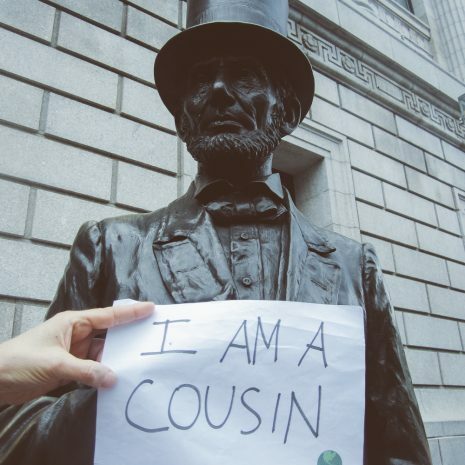 Jacobs’ first cousin thrice removed’s husband’s nephew’s wife’s brother’s wife’s nephew’s wife’s great niece’s ex-husband’s first cousin once removed. 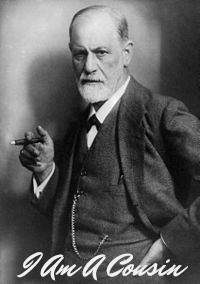 Today’s AJ Cousin Connection is Austrian neurologist and founding father of psychoanalysis, Sigmund Freud. 1. 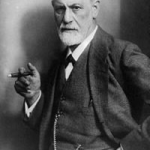 Freud was an avid smoker, first of cigarettes, and then he switched entirely to cigars. By 1923, he had developed cancer of the jaw. Physically sick and tired, Freud committed suicide with the help of his doctor and his daughter Anna, just 22 days after the beginning of the World War II. He injected himself with a two-centigram dose of morphine. This threw him into a coma from which he never awakened. 2. Freud considered himself an atheist and who thought God and religion were illusions that blinded the masses, but interestingly was extremely superstitious. He saw magical properties in numbers. He often claimed that the numbers 23 and 28 appeared in dates, telephone numbers and hotel reservations throughout his life. He even predicted that he would die at 51, the result of adding 23 and 28. He was wrong about that though and died at the age of 83. 3. Sigmund Freud was a brilliant man. Not only had he graduated from medical school and become a neurologist by the time he was 30, he also spoke and/or read eight languages: German, Hebrew, Latin, Greek, French, English, Spanish and Italian.